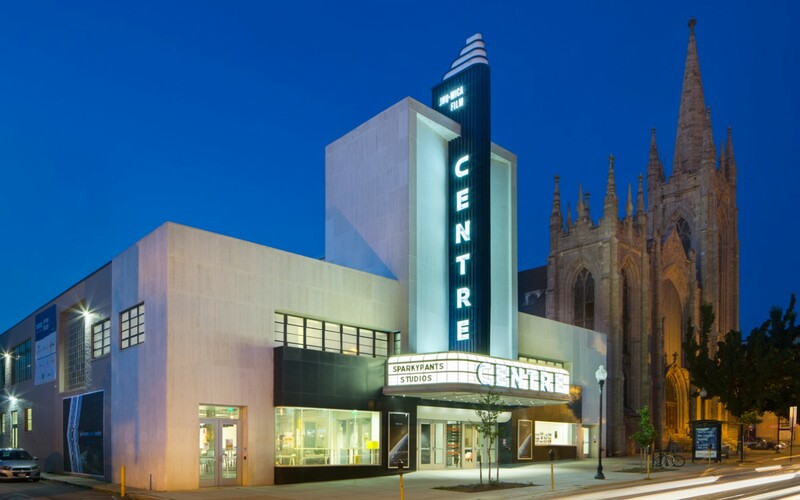 The historic Centre Theatre at 10 East North Avenue has been redeveloped into a mixed-use commercial space. 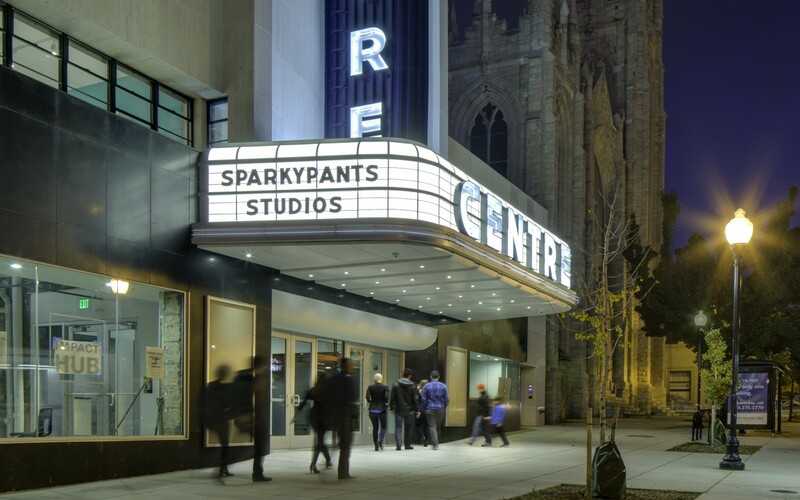 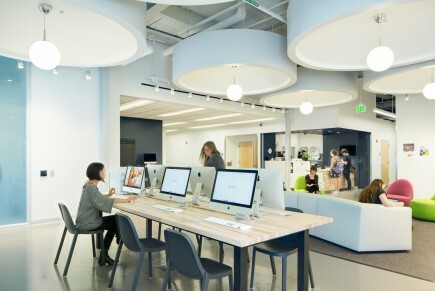 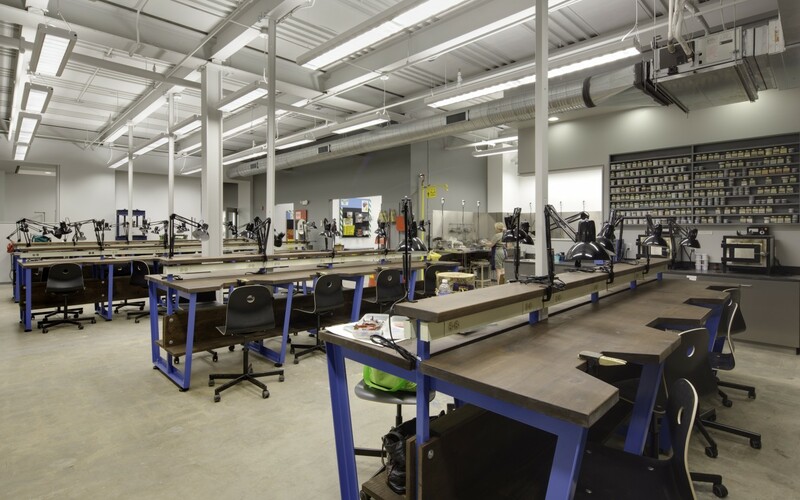 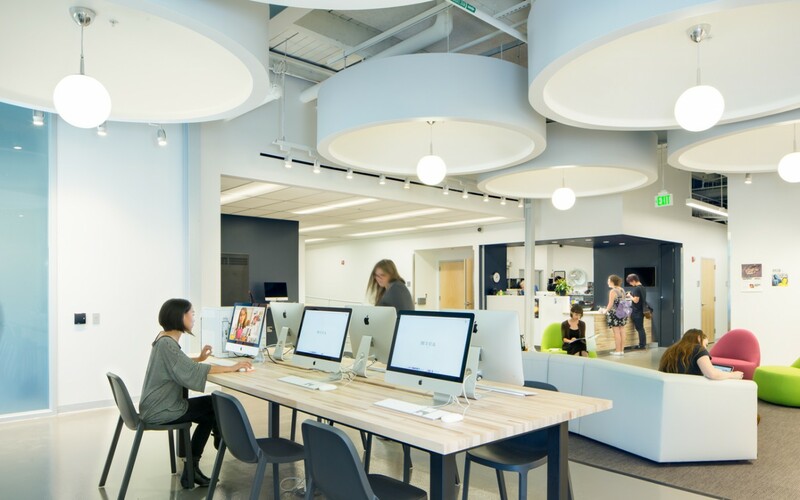 A key addition to the Station North Arts & Entertainment district, the flexible building design accommodates a variety of tenants, including a new Film Center for the Maryland Institute College of Art and Johns Hopkins University. 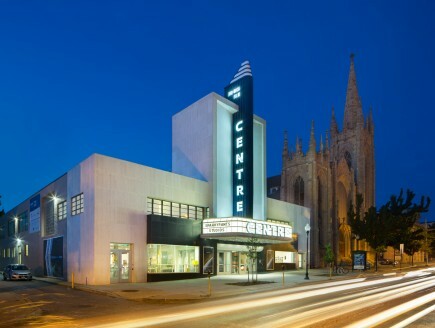 The historic building was constructed in 1913 as a two-story automobile dealership and was converted into a theater and radio studio in the 1930’s. 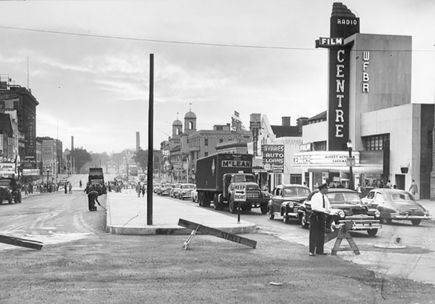 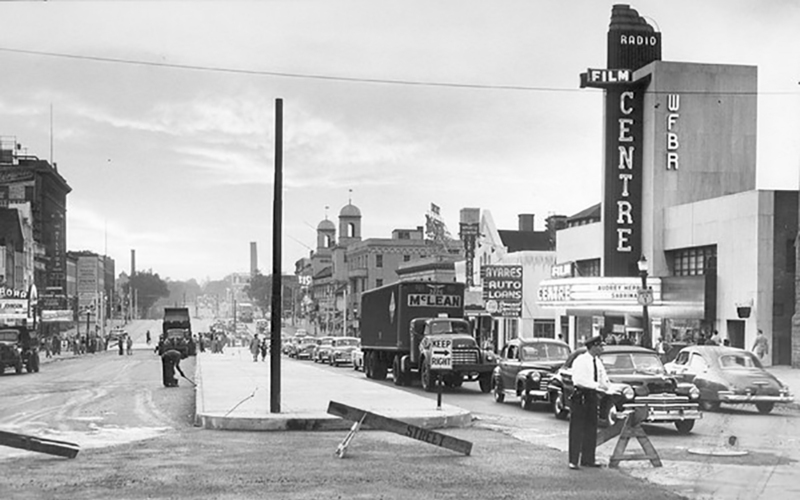 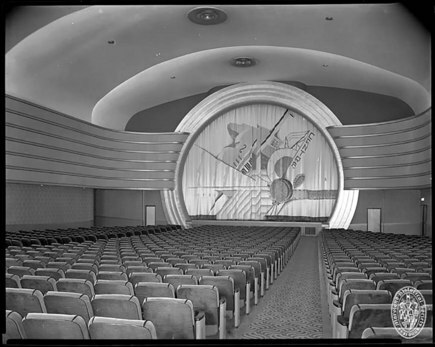 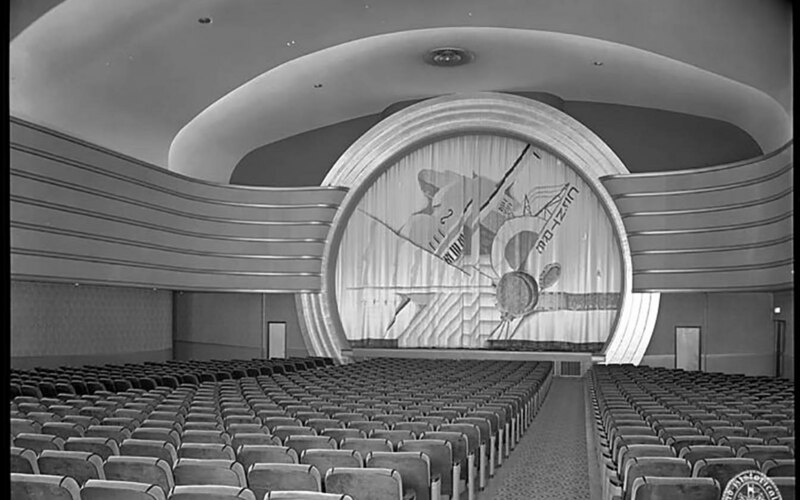 It opened its doors as the Centre Theater in 1939, welcoming guests into a 1,000-seat auditorium. 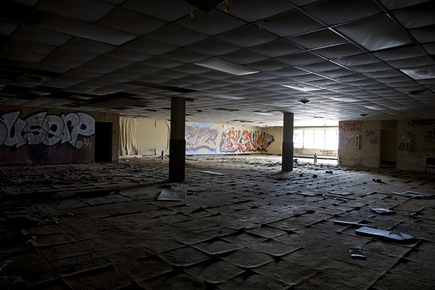 The building was also home to the WFBR-AM radio station. 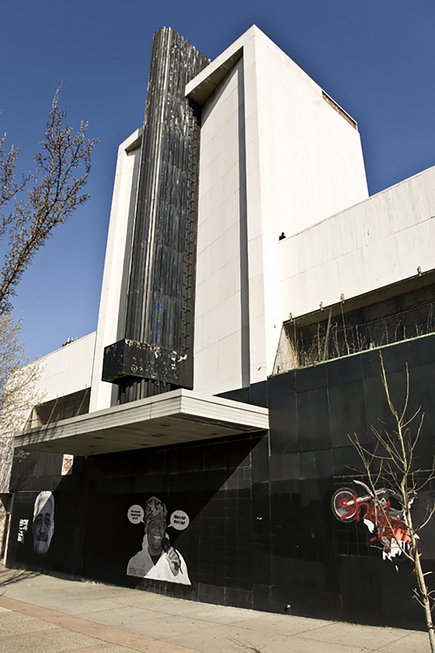 The building was adapted into a bank after the theater’s closure in 1959. 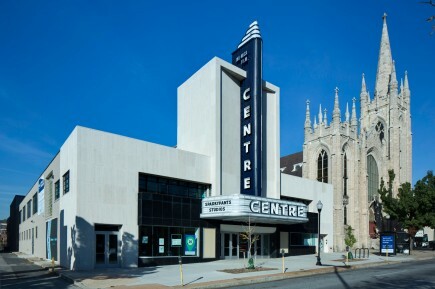 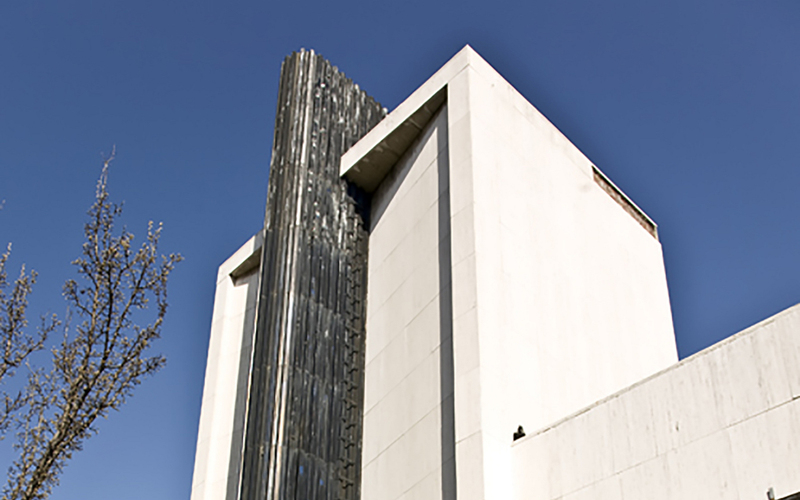 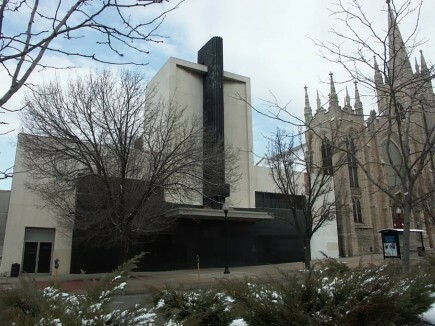 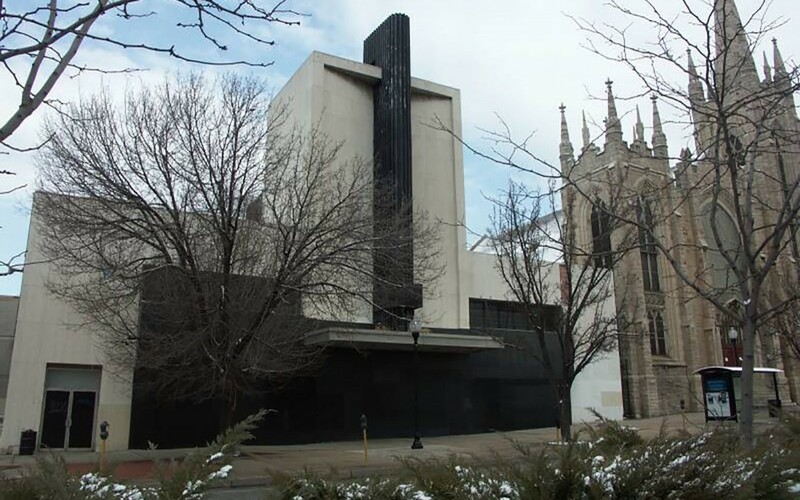 In its last transformation for use as a church and offices, the theater interior was removed and filled in by three new structural floors, accompanied by new stairs and elevators. 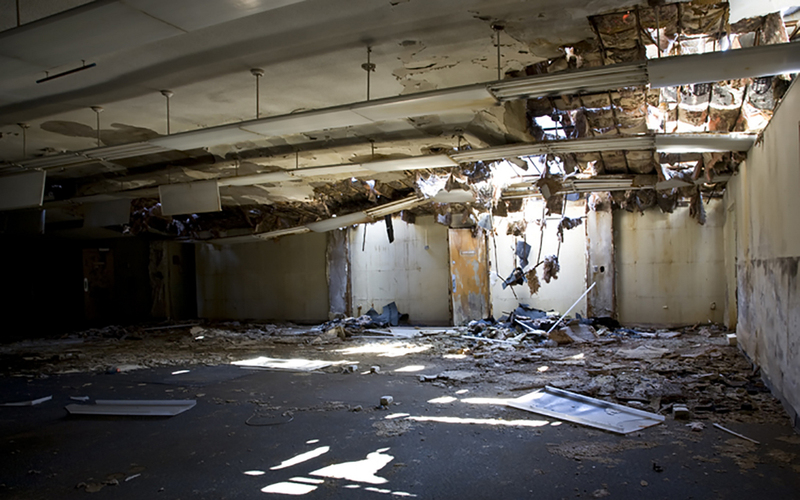 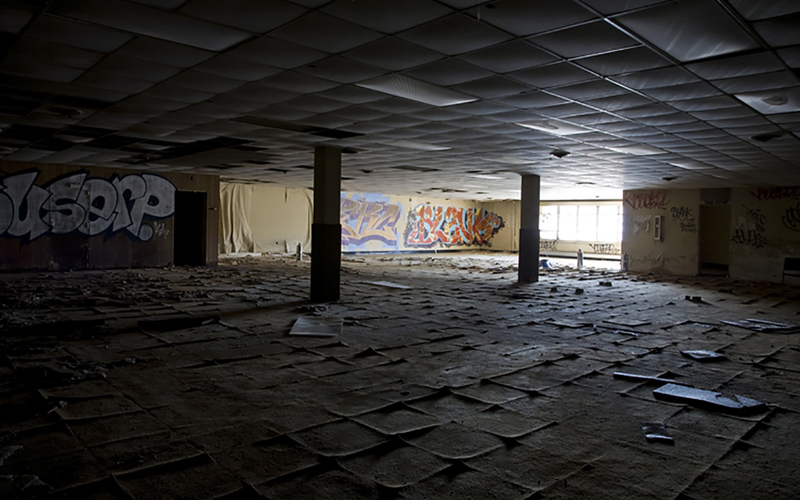 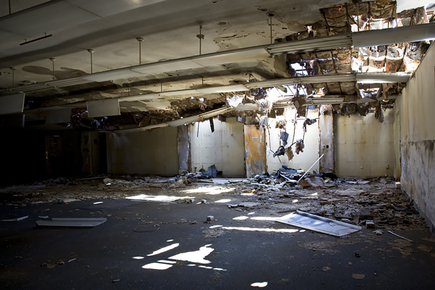 When developers acquired the building in 2013, the building had been abandoned for over twenty years, and was in a state of disrepair. 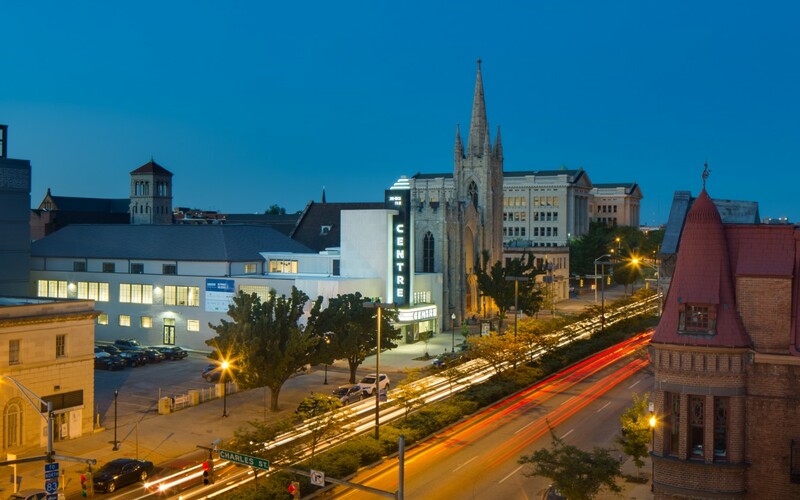 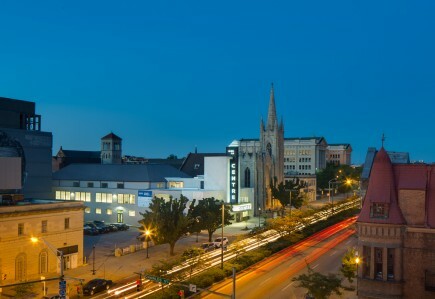 The project was awarded $3 million in Maryland Sustainable Communities Tax Credits as a result of the goal to restore the building envelope and structure per State and Federal historic preservation guidelines and meet Baltimore City Green Building Standards. 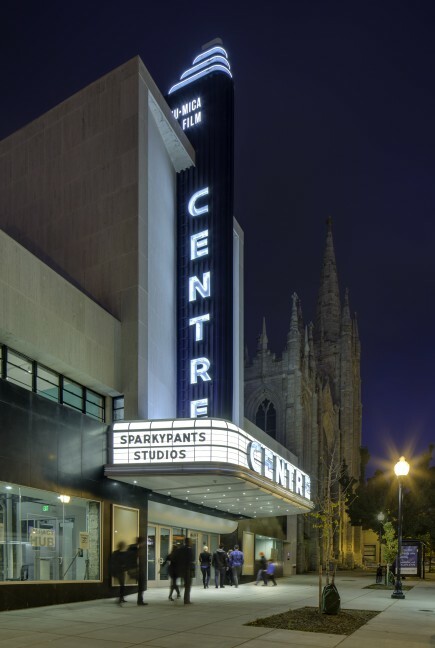 The two outward facing facades on North Avenue and 20th Street have been restored, as well as the original theater marquee. 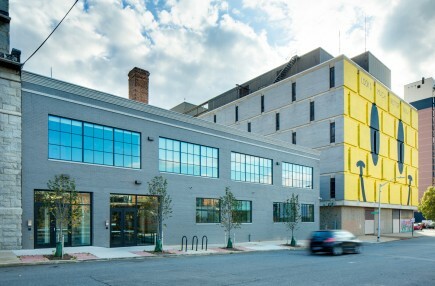 New windows and roofs are installed alongside energy-efficient building envelope improvements. 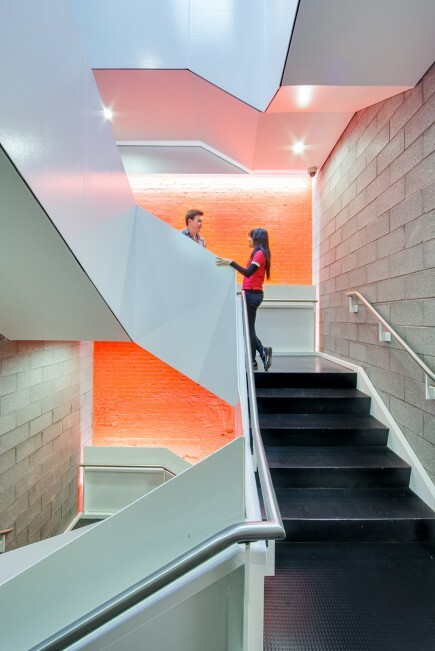 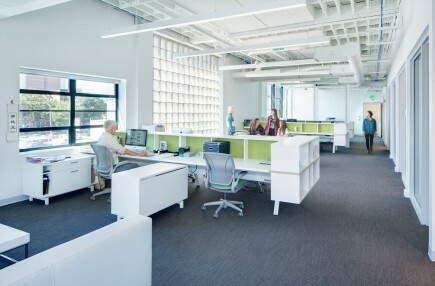 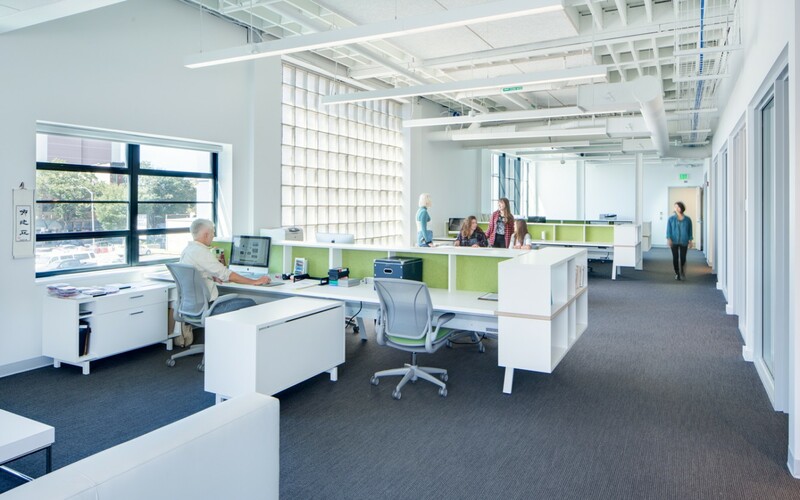 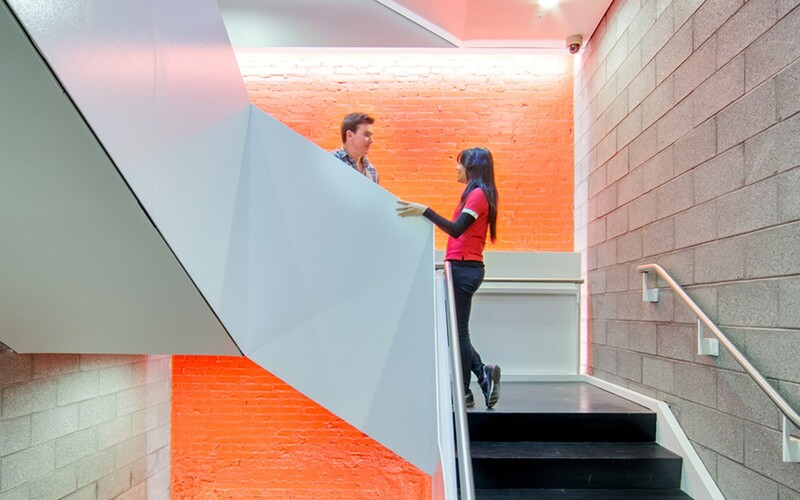 A new building core with stairs and elevators creates efficient and flexible tenant space. 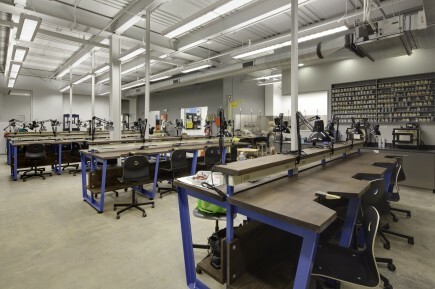 Programming for the 73,000-square foot, building includes spaces for film production and screenings, artists’ studios, galleries, and offices.